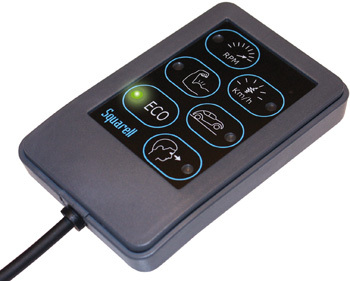 Squarell Driver Awareness Panel by Squarell Technology. Squarell Driver Awareness Panel is an intelligent in vehicle display providing drivers the encouragement they need to drive smarter. DAP works on every vehicle with a Squarell interface and gives visual and audible notifications to the driver on several performance indicators.